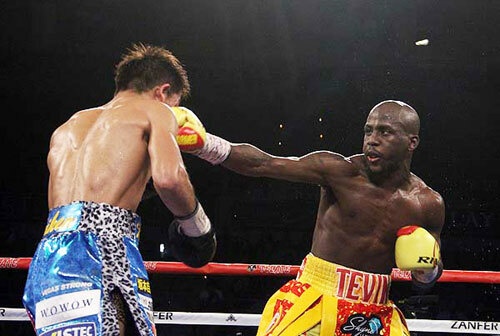 It’s been a difficult year for Tevin Farmer. In April, he tore his right biceps muscle, which required surgery and put him on the bench for a spell. A few months later, while still recuperating from surgery, Tevin was shot in the right hand during a scuffle at a family party. 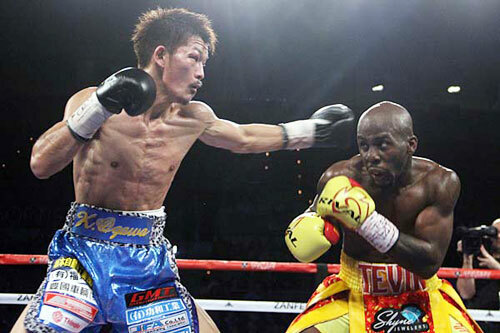 Finally, on Saturday night in Las Vegas, insult was added to these injuries when Farmer was mugged by two of the three official judges after twelve rounds against Kenichi Ogawa, in a fight for the vacant IBF junior lightweight championship. That was Farmer’s 2017. Despite generally controlling the action, this was not Tevin’s greatest performance. He won eight of twelve rounds on my scorecard. However, his offense was thin and his defense displayed an abnormal number of holes. Further, in the second half, Farmer was gassed. Still, to suggest that Farmer hadn’t done enough to capture the title against Ogawa would be an affront. So when the official decision was announced – 116-112 (Burt Clements) & 115-113 (Max DeLuca) for Ogawa, and 116-112 (Tim Cheatham) for Farmer – the outcry of another points robbery began – by the HBO coverage team, by the booing fans in attendance, and by a hoard of social media posters. The uproar is still going on. This controversial verdict was just the latest in a recent run of bum decisions which have sucked most of the fun out of being a boxing fan these days. Unfair decisions have been a part of the sport since the beginning, but 2017 forced fans to endure far more than the typical annual quota of boxing burglaries. The one positive in this destructive phenomenon is that it should put to rest the ill-informed and inaccurate theory that states a “win is a win”. This pithy philosophy suggests that as long as a fighter wins, spectacular performances are optional. Clearly, this is NOT true. Sometimes a win is not a win. Sometimes a win turns out to be a loss. Just ask Tevin Farmer. 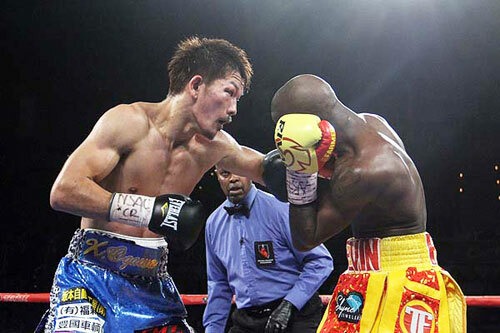 Farmer fought reasonably well, but he did not effectively close the show against Ogawa. There was an eye-opening moment that occurred in Farmer’s corner during the fight that crystallized this point. After round eight, with Farmer ahead (at least on my scorecard), five rounds to three, Tevin’s trainer, Raul “Chino” Rivas laid down the law to his fighter. Farmer had coasted through the eighth, and although he didn’t lose the round by much, he let the frame slip into Ogawa’s column. Rivas explained to Farmer (I’m paraphrasing) that elite fighters do not play around. They continue to prove themselves at every possible moment in a fight. They should not, and do not, give anything away. Rivas could have added – “especially in 2017”. His words were prophetic. Rivas knows what he’s talking about. Just two weeks prior, Rivas watched from Jason Sosa’s corner as the Camden fighter’s important victory over former champ Yuriorkis Gamboa was taken from him by controversial – and preposterous – decision. Sosa, also a junior lightweight, is Farmer’s friend, stablemate, and sparring partner. They share a trainer in Rivas, and have together taken the ride to the top of the 130 pound division. Sosa won the WBA title in 2016 and gave it up earlier this year. Tevin was with Jason every step of the way, building his own reputation and waiting for his own opportunity. Saturday night was Farmer’s turn for championship glory, but it didn’t happen. Sure, I blame the judges, but I also blame Farmer. Tevin started his career with an ordinary 7-4-1 run. He didn’t seem special back then, but ever since has centered himself, let his confidence blossom, and honed his sizable boxing skills to an extraordinary degree. Between 2013 and Saturday night, Farmer mounted an 18-bout winning streak, won the NABF regional belt, and became a top contender in both IBF and WBC dominions. His challenge for the IBF title was considered nearly a “no-brainer” by many – including Farmer (and myself). Farmer, now 25-5-1, 5 KOs, should have been crowned a champion, but returned to Philly with an empty waist and a bad taste in his mouth. Could this disappointment have been avoided? Maybe not. Who knows how rigged the situation was? However one thing is certain, although Farmer did enough to win the fight, he could have done more. You can always do more. Farmer is not a perfect fighter, but he is too good to have let this happen. 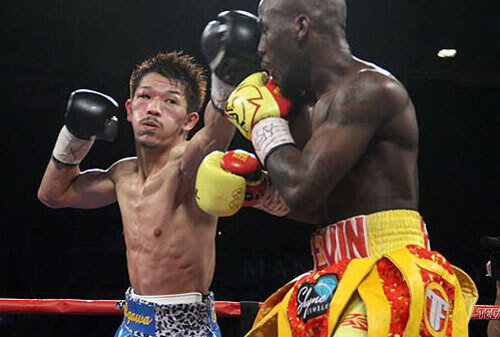 Chino was right in his warning after round eight. No fighter is guaranteed to get what he deserves. 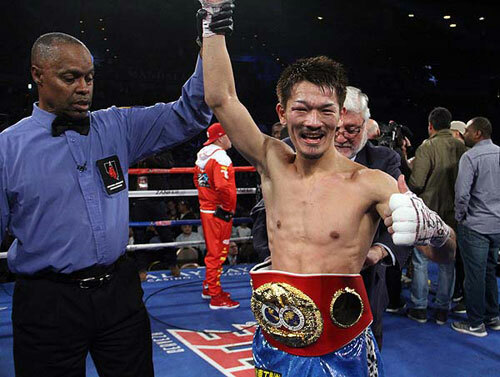 Fighters have to stake their claim in the ring. They have to seize the opportunity. Farmer did not do that against Ogawa. He performed well, but he didn’t do enough. He didn’t do what he needed – or was expected – to do. Yes, he was robbed. He was robbed by the judges, but he played a part in the robbery himself. Farmer had waited for so long for his shot. How did he let this happen? His confidence usually dictates that no fighter can beat him, or even win a single round against him. 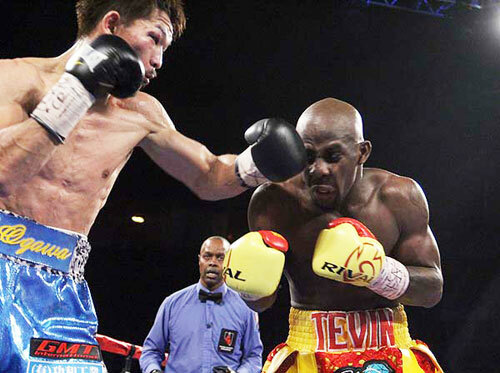 However, against Ogawa, 23-1, 17 KOs, Tevin left room for error. Farmer should have eaten Ogawa alive. Going in, we all thought he would. That he didn’t, was his biggest mistake. Boxing feels lost at the moment, and it is up to the fighters to bring it back. They shouldn’t just do it for the fans. They need to do it for themselves. Decisions are never reversed. Rematches are only arranged if they benefit the powers that be. This is the case, no matter how many virtual fan signatures are added to online petitions. Only fighters can rectify the problem in the ring. A win is a win? Don’t believe this modern-era boxing myth. Farmer believed it, and let his opportunity slip. But all is not lost. Tevin will have to wait a little longer, and may have to travel to Japan, but that is irrelevant. 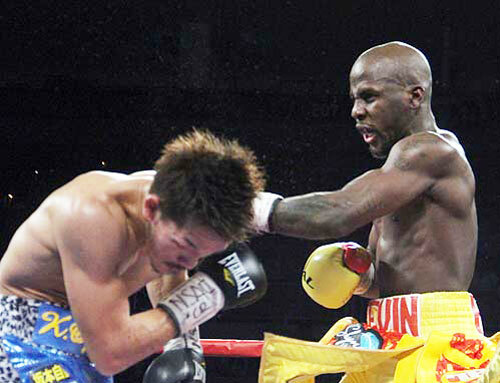 Next time, Tevin Farmer will get it right. A win is not always a win. Sometimes a champion remains uncrowned. Don’t trust the judges. Leave no questions. There really is no other choice. 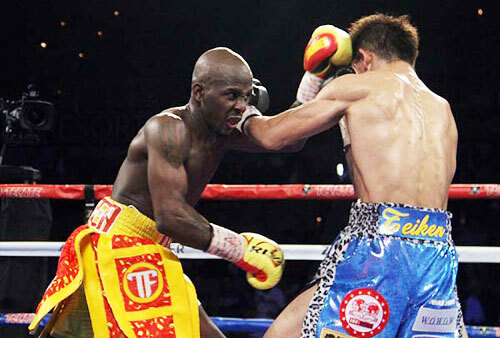 Next time, Tevin Farmer will get it right. Just watch him.